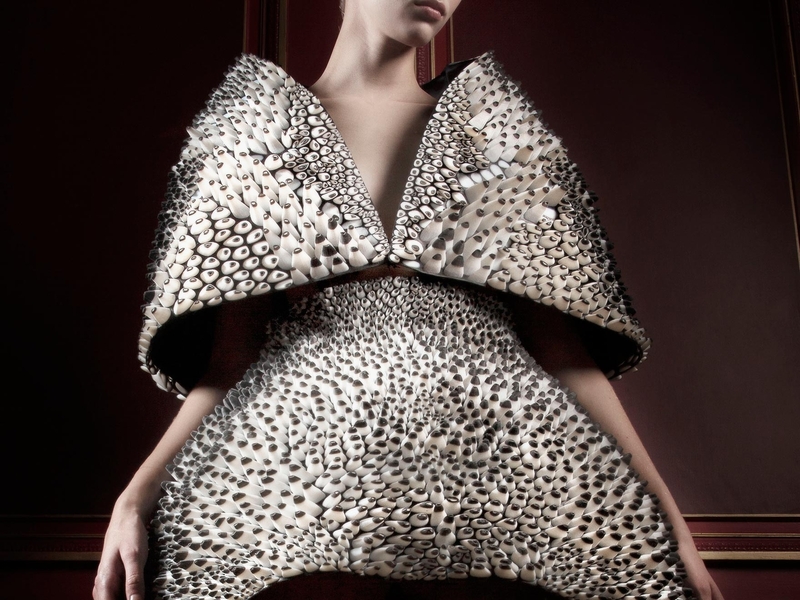 From FASTCOMPANY's website: At Paris Fashion Week in 2013, the architect-turned-fashion designer Iris Van Herpen stunned the crowd with her (literally) electrifying Voltage collection. At the center of the show was a 3-D printed skirt-and-cape combo created in collaboration with architect and MIT Media Lab professor Neri Oxman. Made with an obscure type of 3-D printer, the outfit—alternately soft and structural, and covered in thousands of tiny, scale-like white nodules—seamlessly bridged the gap between the handcrafted and the machine-made.